Just 32% of autistic adults are in paid work and 16% are in full time paid work. Although employment won’t be suitable for all autistic people, 77% of unemployed autistic adults have stated that they want to work. A better education, rise in awareness and exposure on social media, has led to a wider understanding of the condition and its implications. 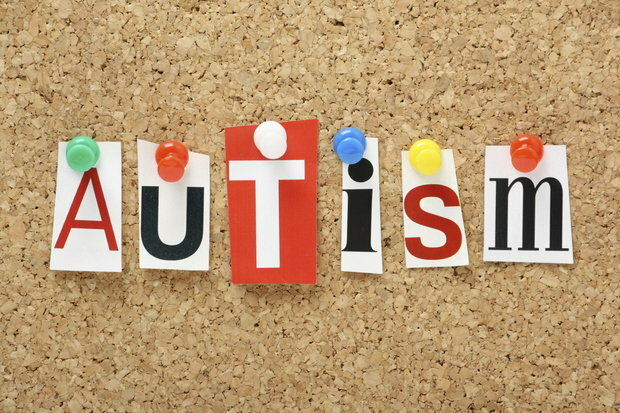 It has been estimated that 1 in 100 people suffer from a type of autism or can be found on the autistic spectrum. An award-winning IT business named ‘Auticon’ employs 15 IT consultants who spend their time working for companies such as GlaxoSmithKline, Experian and Allianz. The 15 employees are all autistic and have been given their jobs after long time of being unemployed. They hold attributes and skills which they bring to work and are perfect for the role. Founder Dirk Muller-Remus believes that with the right support, an autistic person will outperform a neurotypical person doing the same role. Employing someone with a different cognitive process and a different perspective on a problem will ensure that they will come up with a different solution which is invaluable. Studies have been conducted, and evidence shows that autistic employees showed skills such as attention to detail, work ethic and quality of work at an above standard level than their neurotypical employees showed. They have the same productivity levels as their fellow employees and bring a variety of skills which have a positive impact on the workplace, as well as increasing awareness of autism in tech. When you are increasing your team to become more diverse and are thinking of employing people with autism, there are many things you need to take into consideration to create the right environment. The hiring process can be daunting and overwhelming, and many people aren’t able to get jobs because of the interview process. Autistic people perform better in a recruitment process that enables them to show their skills over time. Computer based interviews helps autistic individuals improve their performance and receive more job offers as they receive instant feedback. Many companies have developed assessments that highlight practical skills over social skills, they increase the length of the interview process to get to know their candidates, change their questions in the assessment process and use games on computers to assess certain attributes. Creating the right working environment for an individual with autism in tech is crucial if you want them to perform to a high standard and not feel anxious. Accommodations such as placing autistic workers in a quite area with minimal background noise, distractions, away from printers and bright lighting can decrease the chance of feeling anxious and uncomfortable. Noise cancelling headphones, a consistent working schedule of managers, defined job responsibilities, clear reminders, feedback and reassurance and behaviour support are a few adjustments companies can make to assist employees with autism. Microsoft – In 2015, Microsoft launched ‘The Microsoft Hiring Programme’ and partnered up with Specialisterne and Provail who provide training and support for people with an autistic spectrum disorder. They have created a new recruiting process that enables them to hire more neurodiverse employees. The interview process isn’t a phone call or a face to face interview, but an entry into an interview academy. The interview academy consists of a workshop and an interview for potential hires to show their skills without them feeling overwhelmed by the process. SAP – SAP launched its ‘Autism at Work’ programme in 2013. Their recruitment is a month-long process and provides potential hires with screening and workshops. The programme focuses on soft skills, teamwork and communication. From this, SAP can see where the interview will go, whether it’s a walk round the facilities, a one on one interview or a group interview. After the hiring process, employees are then mentored further to ensure a successful transaction. SAP has also introduced autism awareness to its entire company to make them familiar with the condition and the misconceptions. The software company expects to have 1% of individuals who have autism in tech in its workforce by 2020. There are several benefits of having a diverse team and hiring individuals who have autism in tech. Companies must keep up with the rapid pace of technology in the digital world. Individuals with autism can be excellent employees and contributors to the business. If companies were to give them a chance, then it would create more opportunities and room for success. The greatest benefit of a job isn’t just the work experience but the self-confidence people on the spectrum gain. Being invited to team meetings and being a part of a working environment can improve health, reduce anxiety, give them a sense of satisfaction when completing something and give autistic individuals a stable routine.